This is our favourite restaurant. 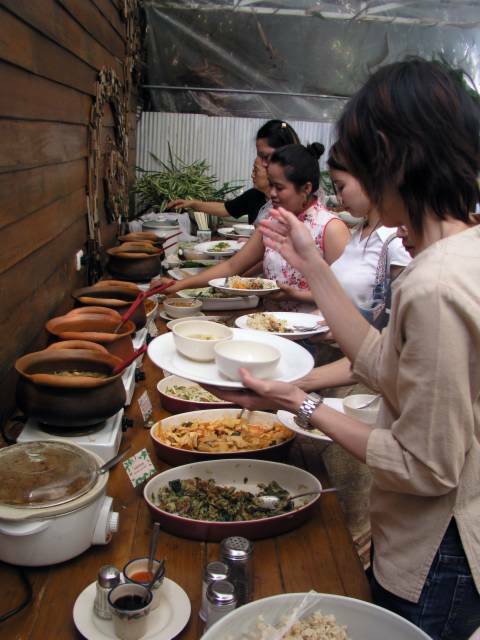 Khun Churn is a vegetarian restaurant in an old wooden house and its garden. The food is generally delicious and purely vegetarian, although they use some egg. No TVP in evidence and the most interesting use of herbs and spices!